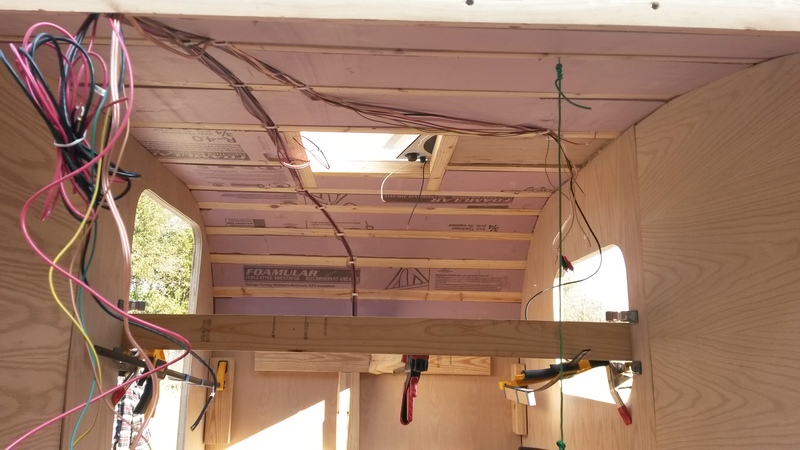 I used 2″ x 2″ to frame up the ceiling. 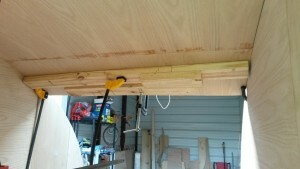 I spaced them out 2″ on the flat or lower curve sections. 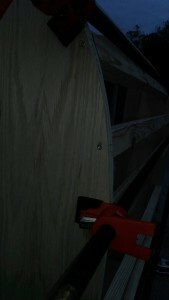 On the sharper corner I spaced them out 6″. 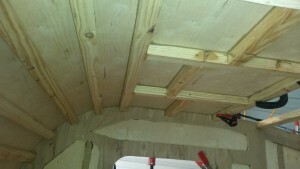 After that I cut out the area for the vent/fan and framed it in. After this, the tedious task of installing the external skin was ahead. 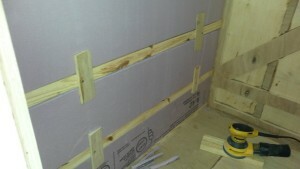 Next was time to install insulation. 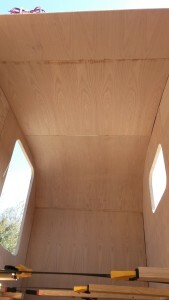 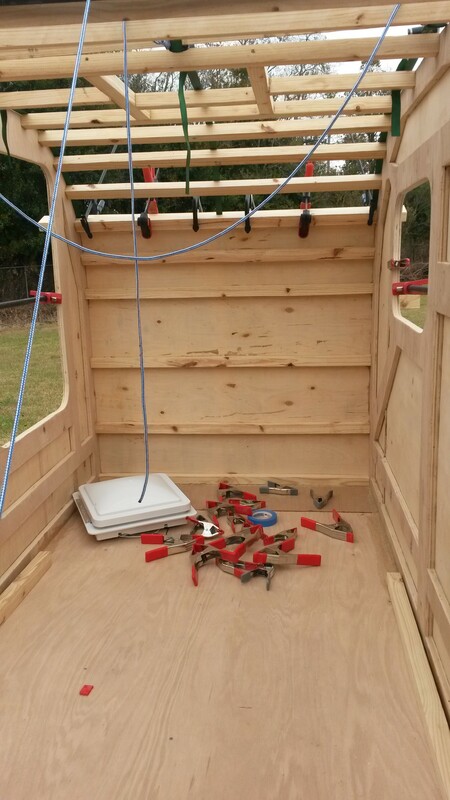 After this was time to install all the interior panels. 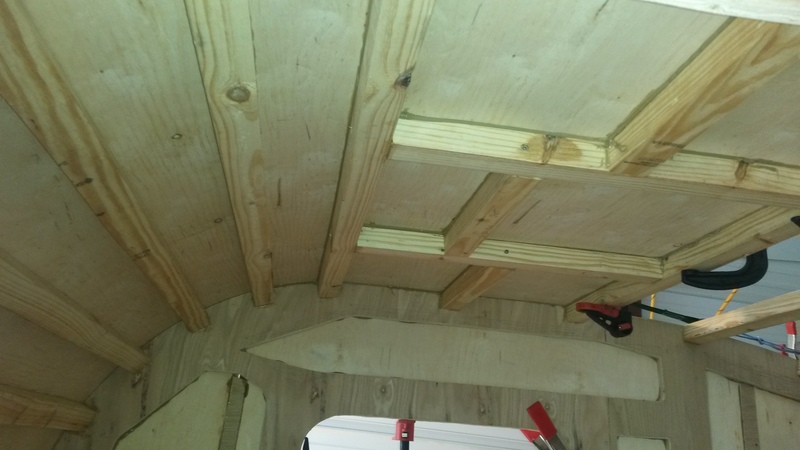 This was much harder then the exterior panels. 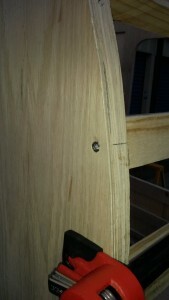 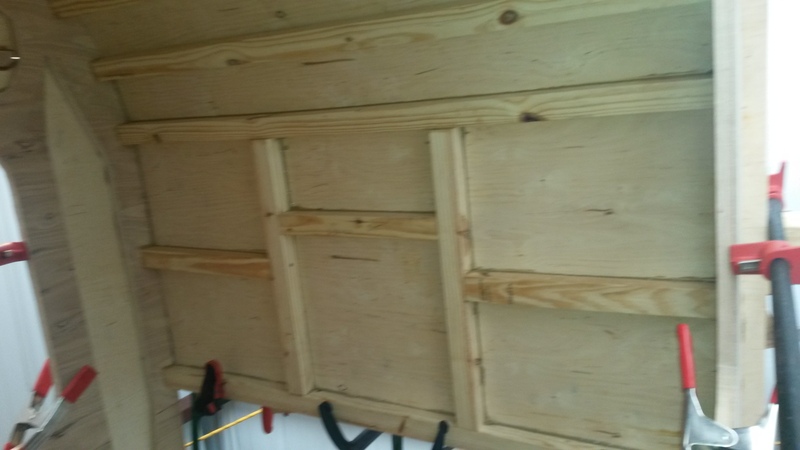 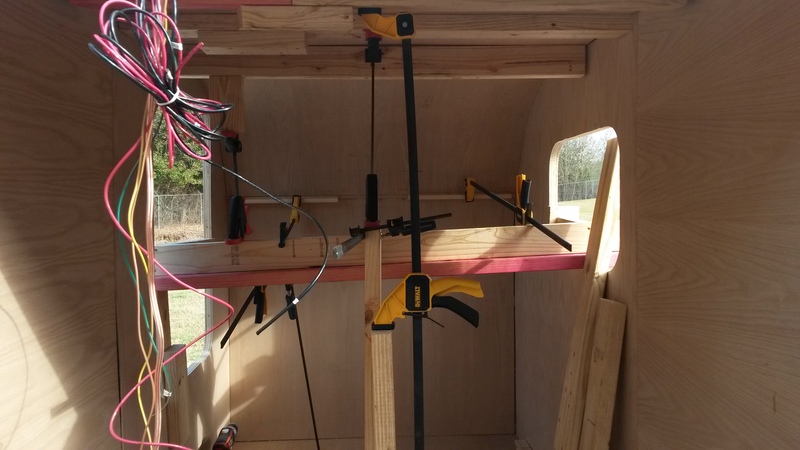 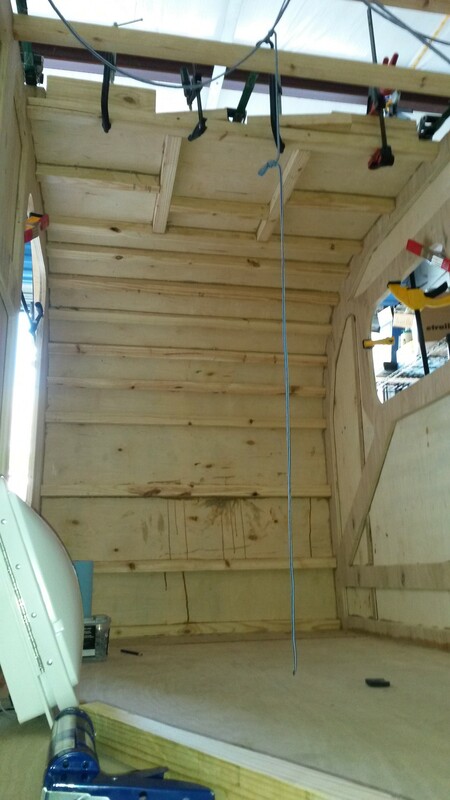 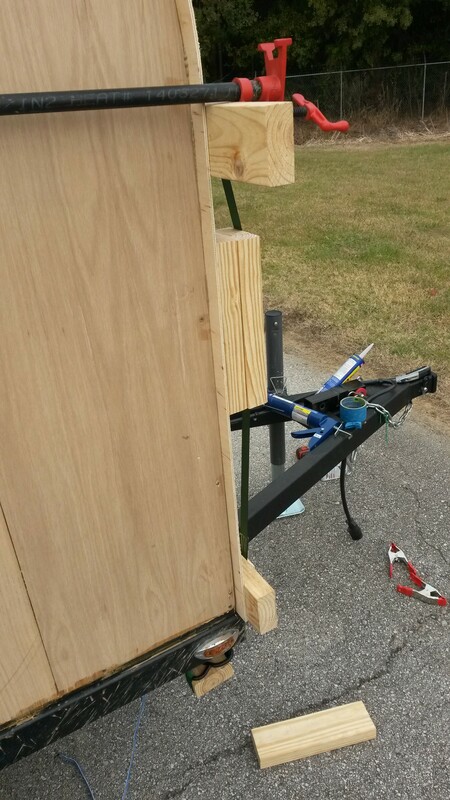 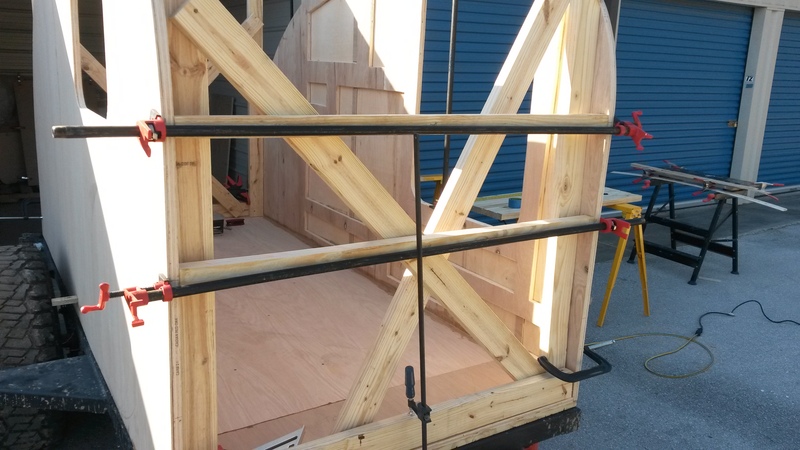 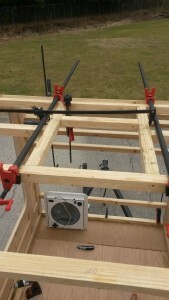 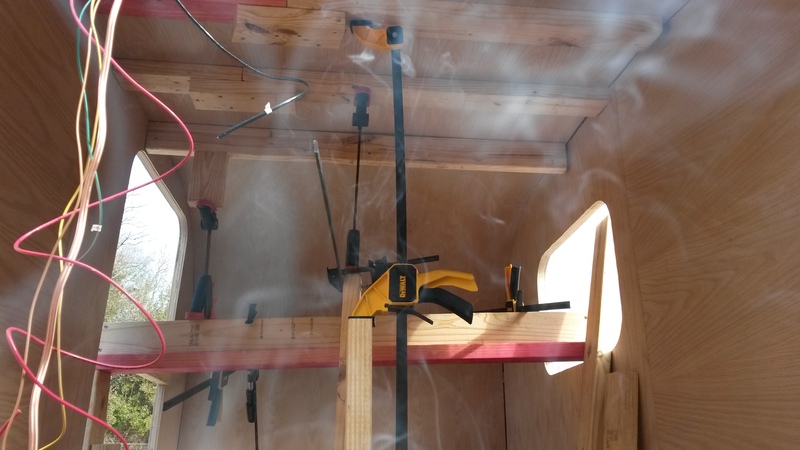 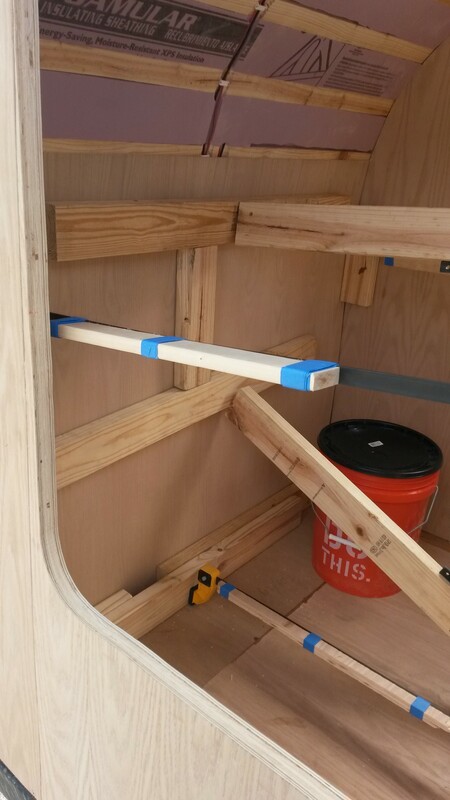 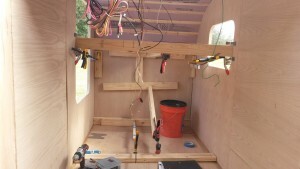 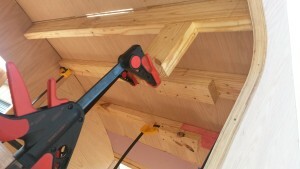 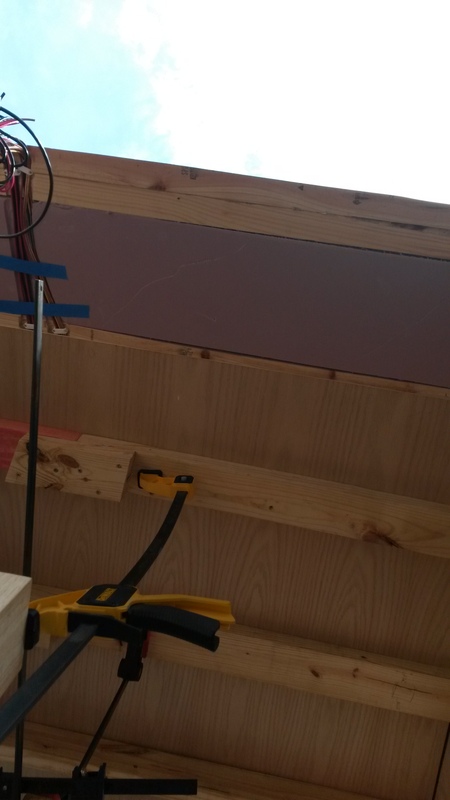 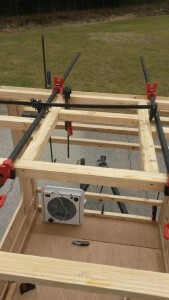 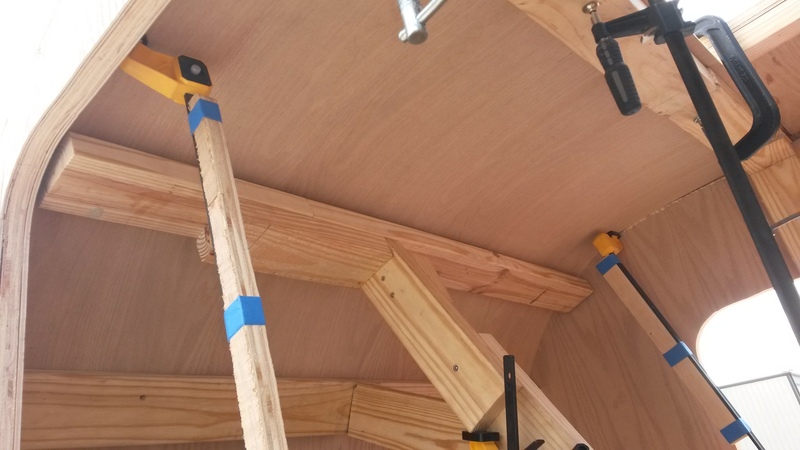 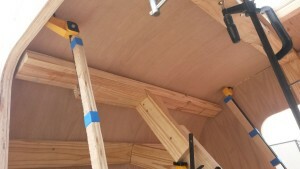 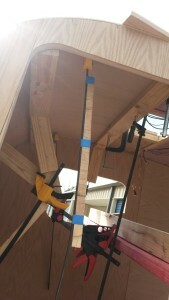 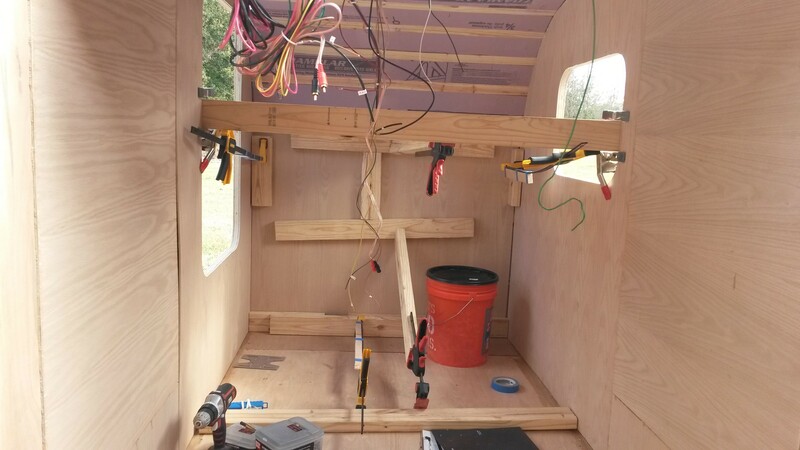 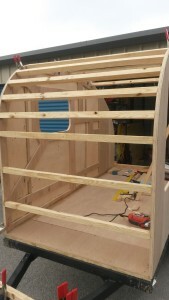 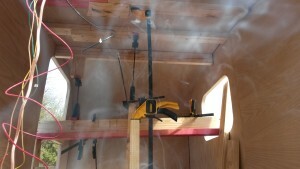 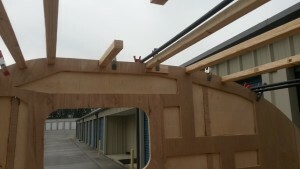 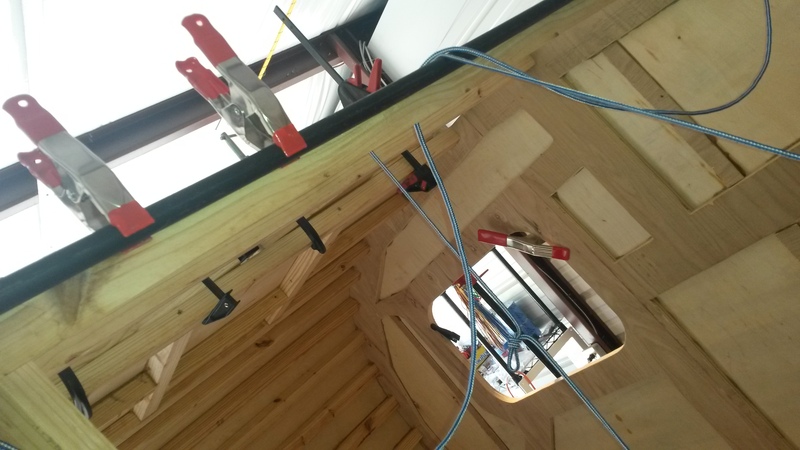 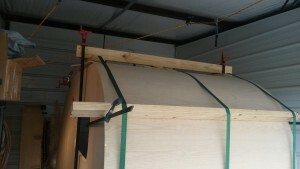 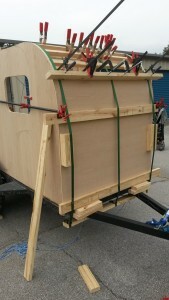 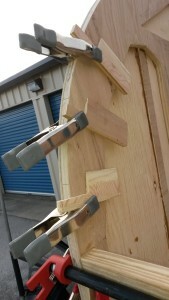 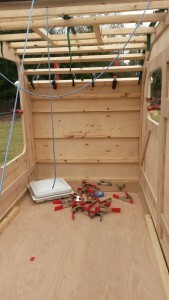 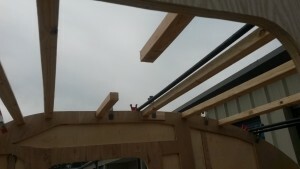 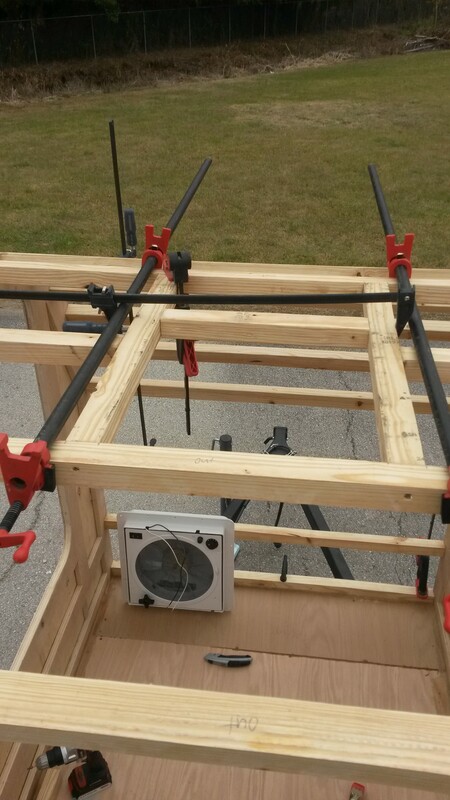 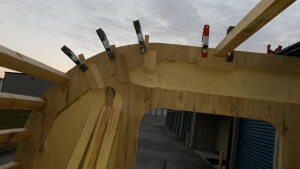 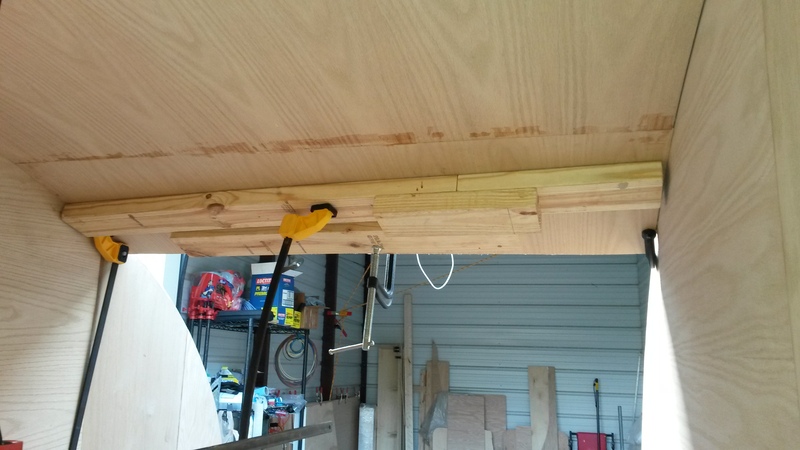 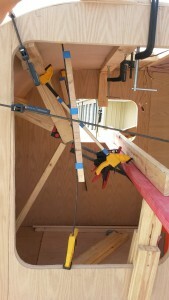 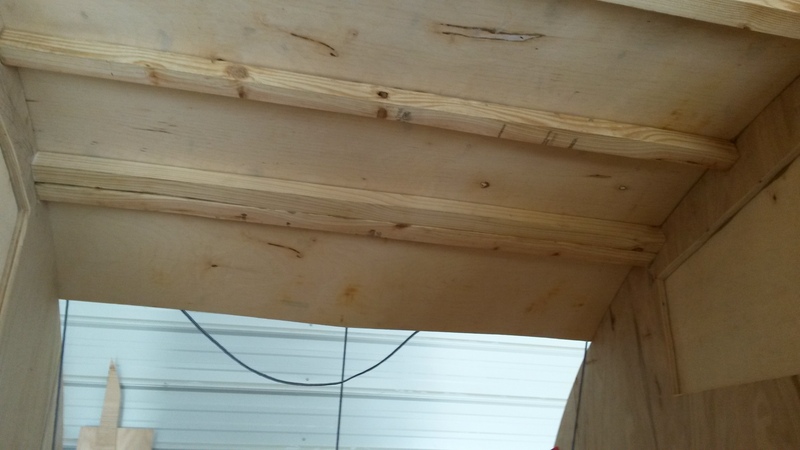 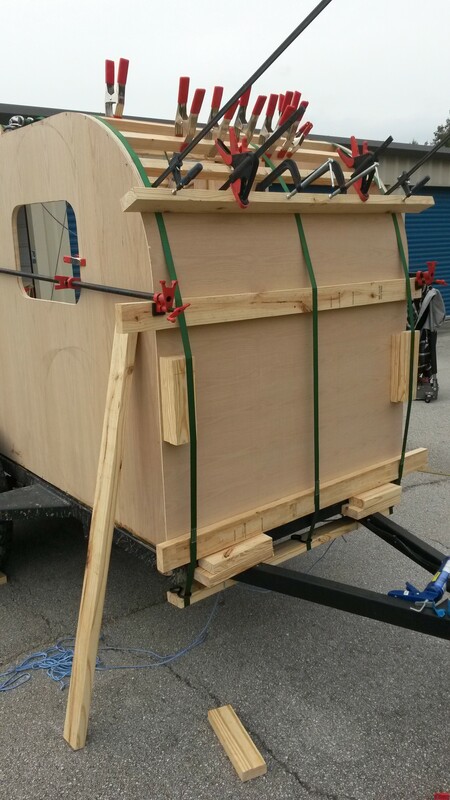 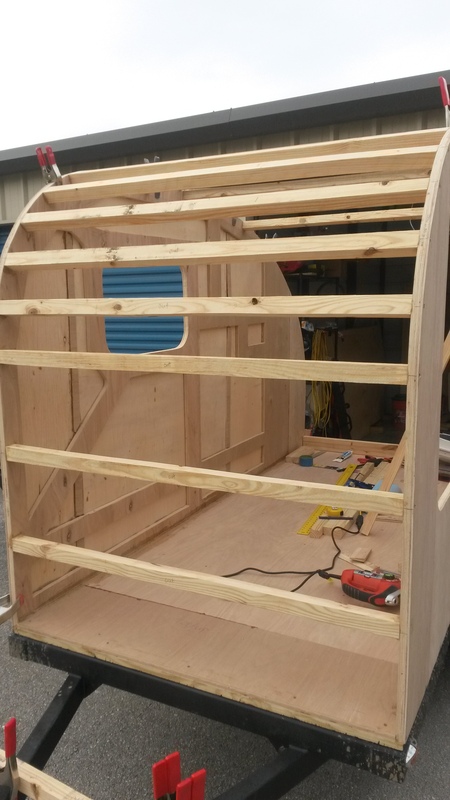 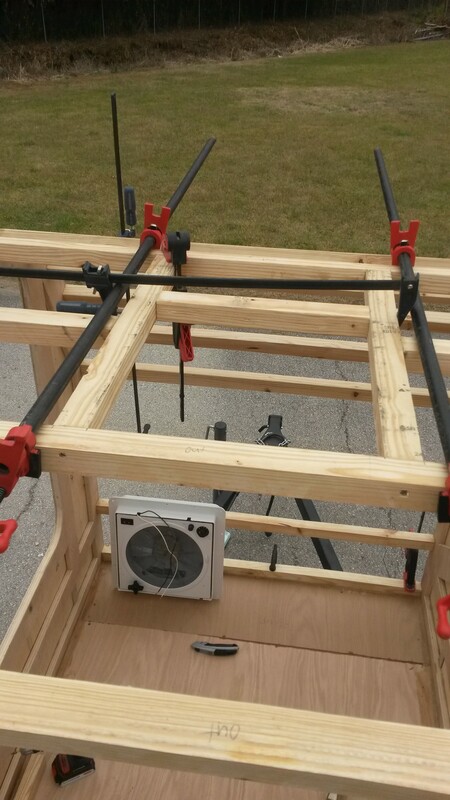 It took a lot of work to line everything up and to hold the panel in place and use the clamps.